It’s the RAW after WrestleMania 33. Roman Reigns has just come off the most important win of his career, defeating The Undertaker at WrestleMania. He is giving a backstage interview, when all of a sudden, a 385 lb monster attacks him backstage and throws him from table to table. He’s beaten so bad that he needs to get carried out on a stretcher. Strowman decides he’s not finished and shoves him off a platform. With his lifeless body about to enter the ambulance, Braun proclaims “I’M NOT FINISHED WITH YOU!” and decides to further attack him inside the ambulance while flipping it on its side. The crowd roared in approval, and we got chants of “THANK YOU STROWMAN”. This appeared to be the genesis of WWE’s next cash cow. The next big thing. He said little, and his actions spoke for himself. After the initial draft in 2016, Braun Strowman was slowly being built as a monster little by little, taking out jobbers on RAW for weeks at a time before getting into his first established feud with Sami Zayn. Then, he made his presence felt by interfering in Roman Reigns’ Universal Title match at the Royal Rumble. The two would then engage in a physical war for the majority of 2017. He would be defined by physical cues such as throwing announcer’s chairs, putting people through announcer’s tables and showing incredible feats of strength. However, it goes without saying that same mystique we saw in him a couple of years ago has gradually subsided. What happened? Unfortunately, it has become prevalent that Braun Strowman is becoming less of a monster and more of a talking catchphrase. We went from “I’M NOT FINISHED WITH YOU” to “GET THESE HANDS” week after week in a painfully obvious ploy to sell T-shirts and merchandise. His promos are getting increasingly robotic, and he might as well look at everyone he speaks to as if they were a teleprompter. From awkwardly referring to Brock Lesnar as “Beasty Boy” to straight up forgetting his lines, his talking has been brutal to listen to sometimes. But perhaps there is a deeper issue that has plagued the former Monster Among Men. He is all talk and no action. Remember when we would see Braun Strowman manhandle Brock Lesnar on a routine basis? Well, what would happen if he was in a title match, or on an important PPV match. At No Mercy, Brock Lesnar defeated him without much difficulty. At Crown Jewel, Brock simply humiliated him. At the Royal Rumble 2018, he couldn’t get the job done. Sure, he won the Greatest Royal Rumble, but about how many of those contestants would you see on a weekly basis? How many actual Royal Rumble matches did he win? Where was the Monster Among Men then? As recently as this year’s Rumble match, he couldn’t take out Seth Rollins after being put through an announcer’s table. He won the Money In The Bank contract, but they had to call the match. Inside Hell In A Cell. That is something that has literally never happened before. What happened to the inpenetreable force that would require multiple people to put him down for the count? It’s hard to determine one specific reason behind the neutering of Strowman, but the main point boils down to this. He does not feel like an important character. I’ve been closely watching RAW for the past couple of weeks, and he seems to be in a never ending cycle where he has trouble putting Baron Corbin and Drew McIntyre at bay. That aura of overwhelming dominance has left the building. Braun Strowman used to have the capacity to take out multiple people at a time, but when The Shield came along, he had to form a mini faction with Dolph Ziggler and Drew McIntyre, and he still couldn’t win the Universal Title. You would think that with Roman Reigns being sidelined for the moment that Braun Strowan would be one of the people that is featured more prominently. But instead even the smallest of advesaries that would normally be a trifle for Strowman a couple of years ago proves to be a challenge now. If Braun is not dominant, then what is he really? An overgrown bearded guy who has to get a catchphrase in every sentence. That definitely reminds me of somebody I know. I really thought that Braun Strowman was set to ascend into legendary status, somewhat akin to what Becky Lynch is now. Maybe it is because he seems to be better as a natural bad guy as opposed to wanting to put smiles on our faces. The issue with Strowman is multi-faceted, and it has to be addressed. 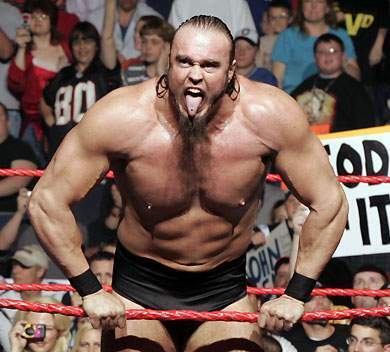 Otherwise, WWE could be wasting what could be one of the greatest big men ever. What do you think the root cause of Strowman’s decline has been? Will he recover?